Celebration of Sitar, South Africa a concert of Indian Classical and Folk Music led by the sitar maestro Ustad Shujaat Khan. He ranks highly amongst the finest sitarists of his generation. Shujaat is the son and disciple of sitar maestro Ustad Vilayat Khan, representing the seventh generation in an unbroken lineage of musical stalwarts of the Imdadkhani (Etawah) gharana. He has developed his own unique style of playing Indian classical music. His approach to rhythm is largely intuitive, fresh and spontaneous, always astonishing his audiences.He is also known for his exceptional voice, which he uses for singing folk songs and poetry. His album “The Rain” released by ECM Records was nominated for a Grammy Award. His recent album “Naina Lagai Ke” is a collaboration with India’s melody queen Asha Bhosle. Shujaat is a faculty member at the University of California at Los Angeles. 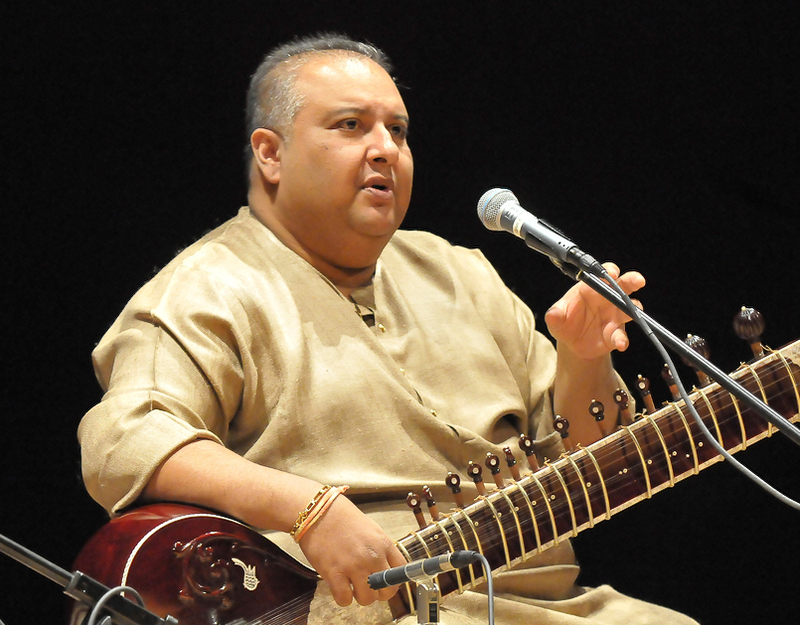 The first half will feature a traditional Indian Classical recital by Ustad Shujaat Khan on sitar accompanied by Yogesh Samsi on tabla. The second half will feature an offering of light classical, folk, ghazal, and sufi renditions (on sitar and vocal) by Ustad Shujaat Khan accompanied by Ajay Prasanna (bansuri /bamboo flute), Amit Choubey (tabla), and Ojas Adhiya (tabla). Tickets are now available from Computicket nationwide, Computicket Call Centre on 0861 915 8000 or Shoprite Checkers nationwide. Celebration of Sitar is produced and presented by Inner Circle Entertainment, the premier producer of Indian Classical music concerts in South Africa. Inner Circle Entertainment’s productions have been noted and highly acclaimed by leading UK based world music magazine, SONGLINES. Its previous productions include Celebration of Santoor (with PtShivkumar Sharma and Rahul Sharma), Ragas of Romance (with Rakesh Chaurasia, Tarun Bhattacharya, and Abhijit Banerjee), Jagjit Singh Live in South Africa, Raga Afrika (the world’s first musical collaboration between South Africa and India), Two Shades of Raga (with sitar genius Ustad Shahid Parvez and flautist Rupak Kulkarni), and Three Shades of Raga with Pandit Jasraj, violinist Kala Ramnath, and sarodist Ken Zuckerman.